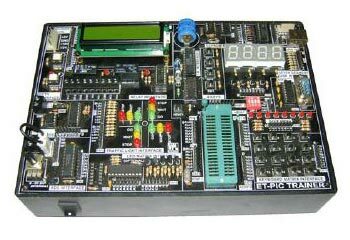 The firm is one of the most reliable Exporters and Suppliers of Embedded Trainer Kit (ET-PIC877L). VPL-PIC877L, the low cost Embedded Trainer has been designed by using Microchip PIC16F877 Microcontroller. This controller provides in-system as well as in circuit programming so that one may be able to write program and download directly in the controller through serial port without removing it from the system.